There are times when I'm tempted to write as one who has things figured out, who has things pretty much together. But my friends at Art House America (have I mentioned that I love them. Read the whole site!) asked me to write and, soon after, followed weeks of upheaval, fear, and feelings of profound vulnerability. So what came as I sat down to write was a from-the-gut groaning for a Rescuer and Redeemer. Read it here. It's been a crazy few weeks here. Since this piece was written, Texas had major flooding. (Read more on that at my sister's site, here). And my Dad has had major surgery. Please be in prayer for him. In the South, in Texas, there can be a cultural mandate to be strong, to be "Texas tough." But I increasingly think that it's bogus. We are weak and vulnerable. We are needy for help and grace. Admitting such is to admit reality. And reality is where we need to live, even if it hurts, even if we need to groan sometimes because of it, even if it's embarrassing. So, check out my piece. And check out Art House. It was an honor to get to write for them. It is raining like crazy here. Flooding is everywhere in Central Texas, including the family home I love most in the world (not my own house, mind you). I am taking this moment where we're all shut in with batten down hatches to update my (long overdue to be updated) site. In the past few months, I've been busy with a longer project that I'll tell you about someday soon. But in the meantime, I've also written a piece wrestling with race---specifically about how, as a white woman, it is hard to know how to enter the conversation well, when to speak and when to remain silent. This is a hard subject for me to write about and this piece actually began months ago during the Ferguson protests. I ended up just sitting on it and not publishing it for a while, but 4 friends of mine who are all people of color encouraged me to publish it, so after the Baltimore riots, I returned to this piece and began working on it again. Check out the results here. I could not have written this (and would not have written this) without help from a number of editors, especially friends who are African-Americans who gave encouragement along the way. I am very grateful for them and their generosity to me. Then, I wrote a piece for her.meneutics on maternal imagery for the church, which was a piece for and about Pentecost and a bit of a conflicted love letter to the church. Read it here. I should go because the rain storm is raging, and I'd hate to miss the opportunity to stare at it. But I can't sign off without acknowledging that while I write here, many in my community have lost their homes and have had severe property damage. Some of these are people who I know and love. Please consider donating to Central Texas Flood Relief. You can do so, right here. 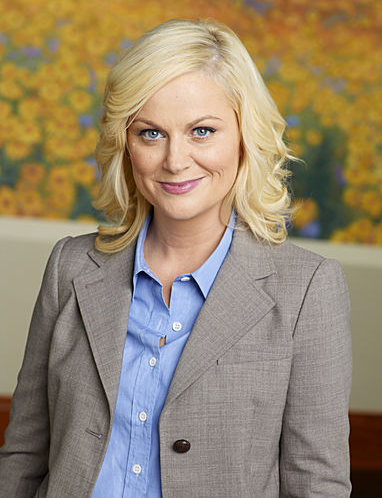 I have a new post up at Her.meneutics on the TV show Parks and Recreation: The Prophetic Voice of Leslie Knope. It was really fun to write this piece because I'm a fan of the show (and I will miss it). And it's kind of Leslie Knope meets Wendell Berry meets Jesus. I got to think about Catholic social thought and Li'l Sebastian in the same piece. When does that happen? My husband and I rarely have shows we enjoy together (I'm more into beautiful people talking and he's into zombies killing everyone), but we have loved watching this show together. And we have also loved bouncing ideas off of each other about concrete localism and human-scaled social action and Christian witness. So this is a bit of a post-valentine shout out to him. A lot of writing has happened in the past couple months but also a lot of life so this page hasn't been updated. I'm working on a longer project so hopefully, I can tell you more about that soonish, but, in the short-term (and the short essay) realm, I had a piece come out in Her.meneutics about the politics of advent. Here it is. Isn't the church calendar helpful and challenging? (Note: In this piece, I also make fun of liturgical calendar addicts like me). I also had a piece come out on the Christ and Pop Culture blog. This is the first I've written for them, but I've wanted to for months because the quality of thinking and writing over there has impressed me. Did you see Alan Noble's piece on Ferguson and Race? It is powerful. Anyway, I wrote about the French terrorists, sin, me, and total depravity. Or, if you hate the term total depravity (which you really need not), I wrote about terrorism and the will-turned-in-on-itself. Anyway, I wrote this. Check it out. And I'm grateful to get to be part of the Christ and Pop Culture blog. Okay, I'll try to keep ya more updated. And Happy Epiphany to you. I said I wouldn't write on this often--only when there's a bit of writing news--and, so far, that's indeed been the case. So... long time, no update. Hey, I forgot to mention that I had a post on All Saint's Day over on the InterVarsity blog. My employer asking me to write an intro to All Saints is a bit like being paid to eat chocolate cake with a good, steaming latte. So, that was fun. You can see it here. Also, I'm excited to share that a post I wrote called Courage in the Ordinary is quoted at length in Michael Horton's new book, Ordinary. Prof. Horton was kind enough to send me a copy of his book and I really recommend it. It's a solid, clear, and grounded reminder of the call to ordinary discipleship that is much needed in today's evangelical conversation. I'm honored to be in the book and encourage you to pick it up. Mine is thoroughly underlined and dog-eared. You can also hear a conversation that I had with Michael Horton on The White Horse Inn here. I've been laying low this month working on some slower, longer, murkier potential writing projects, but took a wee break from that when a facebook post of mine turned into a challenge from a friend to write more on the topic of fear. So, here we go: Even Still, Fear Not. I discuss a culture of fear and wonder if believers have forgotten than living without fear is, in fact, a mark of discipleship and something we do well to struggle together toward. This one hits near my heart as a mom and as someone who needs freedom from fear. It will make more sense why this photo is here if you read my piece in Mere Orthodoxy (linked below). Rod Dreher, who blogs at The American Conservative, wrote a post about my article and had a few questions about it, which I addressed in an email to him, which he posted here. In it, I address some of the nuts and bolts of why many religious people would be unable to comply with Vanderbilt's student org policy. Rod is a great writer and I appreciate his encouragement and response to the CT piece! Matthew Lee Anderson, who blogs at Mere Orthodoxy, wrote a thoughtful post expanding some of the ideas I touched on in my article and was kind to post my response to him, which you can read: here. (In it, I talk about giant coffee cups from the 90's and the Narnian kings and queens...) Being in this online dialogue with Matthew really helped me think more intentionally about joy. It was a gift to get to talk with him and learn from him. Hi all! The response to my article, The Wrong Kind of Christian, which is now on CT's main page without a paywall (read it here) has been much, much bigger than I anticipated. I am very grateful for the huge number of people who have read and shared the piece and also for those who've contacted me about it. However, because of the large amount of messages I've received about the piece, I am very behind in responding to them. Please know that if you have sent me a message or left me a comment and I have not yet responded, I am not ignoring you (at least not intentionally). This is a busy time of year for us--even without an essay going viral--school is starting and campus ministry is ramping up, so I hope to respond to your messages and comments, but it may take a few weeks. I'll also be slow in posting comments on my personal page. This site itself is new and, thus far, I use it more to update people when I publish a new piece and not as a blog, so I do not maintain it daily. I'm sorry that I cannot respond more promptly. I really appreciate your interest in the piece! I'd invite you see my last post with a few (of many) things to do in response. Please feel free to contact me or leave a comment but I ask for patience as you wait for a response. My new piece, The Wrong Kind of Christian, is in this month's issue of Christianity Today. Read it here. Right now, you have to subscribe to see the whole thing. But you really should subscribe anyway because it's a great magazine and what are you waiting for? During my time at Vanderbilt, I wrote a ton about pluralism and creeds and faith in response to the university's new policy which forbids campus religious groups from having creedal requirements for their leadership. At the end of that year, I intentionally took a long time off from writing about the university or pluralism. Then, last year, more or less as a spiritual exercise, I began to write about Vanderbilt's campus conflict again. I needed to process what had happened that year on campus and writing is how I do that. Much of what I wrote was heady, philosophical meanderings on the meaning of pluralism. A reporter who I became friends with during the conflict on campus said to me one day, "That's not the interesting part of this story." He told me that he wants to hear my story, what I felt and experienced and wrestled with during that year on campus. So I began to write and this piece slowly emerged. When I finished it, I closed my computer and just wept. It was the closure on that tough, beautiful year. And then it sat on my desktop for months. Eventually, I showed it to the good folks at Christianity Today and lots of editing later, here we are. It is certainly not the final word on the situation at Vanderbilt, it is simply a little bit of one person's story. But I'm very grateful to be able to share it. Huge thanks to Christianity Today and to my colleagues at InterVarsity! If you read this article and think "I want to do something in response, but what can I do?" (This is what I feel after I read almost anything). And/Or you could donate to other partner ministries of ours who also lost their on-campus status: Cru, Navigators, FCA, University Catholic, the BCM, or others. Contact me (through my contact section) for more information about how to donate to these groups . The argument for pluralism and the aspirations of tolerance, humility, and patience are fully consistent with a faithful Christian witness. And in this age, they are also far likelier to resonate than arguments for religious exceptionalism. The claim of religious exceptionalism is that only believers should benefit from special protections, and often at the cost of those who don't share their faith commitments. The claim of pluralism is that all members of society should benefit from its protections. 3. Share this article. Begin a careful and respectful conversation about faith, higher education, and pluralism. 4. Pray. Please pray for my colleagues who are still laboring at Vanderbilt. Pray for reconciliation between ousted religious groups and the University. Pray for the gospel to go forward there through all religious groups and for Christian students to continue to be encouraged and cared for there as they seek the common good of the university. Pray that faculty and university administrators across America will recover an understanding of and commitment to religious pluralism. Pray for God's kingdom to come through and in the academy. Here is a link to InterVarsity's campus access page for more information about what is happening on certain campuses across America. For months now, friends, colleagues, and people out there on the interwebs have asked me if there was a single place to go online to read multiple pieces that I've written. I really appreciated them asking but there wasn't. But my friend, Rebekka, who is kind and generous with her web skills (and one of my favorite humans on earth), put together this little site. It's not a blog so it won't be updated frequently or have tons of new content, but when I publish something, I'll let you know about it here. Plus, there's a list of things I've written in the past and a little bit more information on who I am and what I do. So welcome. I'm just learning my way around here myself. Have I mentioned that I love Art House America? Because I do. And I was honored that they reprinted my piece, A Life of Prayer amidst News of Death. See it here. And if you don't know about Art House. Check it out! Thank you to the folks at The Well for agreeing to let the piece be republished. It was a week of tragedy so I wrote this piece for the Well about cultivating a life of prayer in a dark and hurting world. Also, if you want to find out more about helping Christians facing persecution, my friend Greg over at Anglicanpastor.com, wrote out a list of organizations that you can donate to and follow here.